What is in store for Orissa and Naveen Patnaik? Trusted and supported by the denizens of Orissa, Naveen Patnaik is trying to restore peace in the communal riot hit Orissa. Ruling the state of Orissa, from the past seven years, it has been a difficult for this Chief Minister to tackle the situation arising in the flood hit state. The assassination of VHP leader Swami Laxmanand Saraswathi aggravated the situation and led to communal riots. In the light of this, GaneshaSpeaks predicts on what lies ahead for the Chief Minister as well as the state. Saturn in Cancer Ascendant, Rahu in the Eleventh house, the house of gains. Mercury, Jupiter and Mars are in combination. Moon occupies Mrigashira Star in Gemini, sign ruled by Mercury. Sun is weak in his chart. Yoga: Parigha Yogi: Saturn, Ava yogi: Moon, Duplicate Yogi: Jupiter, Daghda Rashis: Aries and Leo. Naveen Patnaik, the Chief Minister, has been holding the office for seven years. The planets Mercury, Jupiter and Mars conjoin in the sixth house from Arudha Lagna. Ganesha notes that Mercury and Jupiter are not only afflicted by Mars but are also placed in debilitated Navamsh, thereby attaining the ability to give a powerful Raja yoga. Simultaneously, Saturn in placed in Lagna in Cancer, showing the potential to hold very high political offices. During Saturn dasha Jupiter Antardasha, he suddenly rose to become a cabinet minister in the Government of India. The dasha of Mercury is to commence from early 2000 AD and he became the Chief Minister of Orissa. 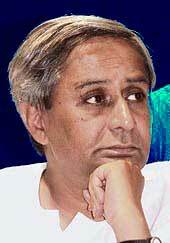 Naveen got elected twice from HINJILI Constituency in Ganjam District. Saturn in Cancer Ascendant and conjunction of Jupiter and Mercury represents Naveen's interest in art, ecology, cultural heritage and environment. The conjunction of Jupiter and Mercury, which signifies sharp intellect and literary skills, is responsible for his contribution to the literary world. It was due to this conjunction that he wrote many books and was a regular contributor for various magazines and publications. At the time when Naveen Patnaik sworn in as the Chief Minister of Orissa, Libra Ascendant was rising and the Lord of the Ascendant, Venus, was in the 9th house with Mars and Saturn. Venus was involved in the exchange of houses with the Lord of the ninth house, Mercury. Ketu occupied Ascendant. Rahu, Moon, Mercury were in the seventh house and Jupiter was in the eleventh house. These planetary positions indicate communal riots as well as defamation to the incumbent Chief Minister and hence these planetary positions confer benefits to the BJP. Currently, Ketu major period and Saturn sub period is running. At present, the major period of Mercury and the sub period of Mars is running in the natal chart of Naveen Patnaik. Flood and communal violence started during the Mercury major and Moon sub period. Transit of Ketu on Ascendant and Saturn in Leo indicates problems within BJD and BJP and also signifies factional war and political machinations. 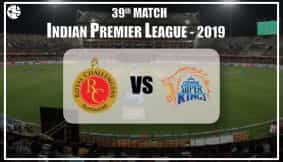 Mars sub period Rahu anthara can give rise to new problems and there is a possibility that President's rule will be imposed, after deliberations, in the third week of October (after October 16, 2008), opines Ganesha.